How Hydroponics Gardening Helps Growers Turn Injury Into Victory - Rosebud Magazine Hydroponics Lifestyle Growing And Entertainment! Have you had times of challenge and hardship in your life? Each of us has reasons for loving hydroponics gardening, for taking the time and money to run an urban garden for maximum yield. In fact, hydroponics gardening is often a life-enhancing activity, especially if you’ve had times of challenge and hardship when you had to work hard to get yourself to a better place. I’ve had times like that, as most of us, and I’d like you to take a few moments to consider a fellow named Jack who grew up in the woods near a logging town that had one traffic light, one bar, and one church. He played wide receiver in high school, and believed he had a secure future following in the footsteps of his father and grandfather, who had both been loggers. Felling and selling trees is an adventurous life for strong young men like Jack. Fact is, logging, mining and fishing was pretty much the only jobs you could get around his hometown. But after he had been a logger for eleven years, Jack got hurt. Not life-threatening seriously hurt, but enough to make it impossible for him to continue logging. He endured physical therapy and minor surgery, took painkillers, hung out with his buddies and kids. But his monthly disability check wasn’t near enough to support him and his family, and his vocational rehabilitation counselor told him he had to look for a new kind of job. This presented a serious challenge. Jack hadn’t paid much attention to classwork in high school. He had no college units. He was an outdoorsy type of guy who liked setting his own schedule and seeing definite payoffs from whatever he did. It wasn’t likely he’d be happy slaving away in a fish cannery, timber mill or as a manager at a fast food shack. Things were looking pretty rough. With his money running out, too much time on his hands, and the frustration of being injured weighing on him, Jack was 31 years old with heavy decisions to make…decisions that would determine the course of his life. What is it that helps some people garner victory over circumstances, turning injury into success? A gorgeous sealed grow room gardenOne factor is just plain good luck, or maybe you’d call it being in the right place at the right time. That’s what happened when Jack strolled into a garden shop and found out he could save money…and even make money…as a maximum yield hydroponics gardener. He fell in love with the hydroponics gadgets, high intensity lights, hydroponics nutrients and lush green hydroponics plants. It didn’t hurt that a couple of other hydroponics customers explained to him that growing your own food, flowers and other crops using combinations of indoor and outdoor hydroponics farming methods can earn you a good living. So Jack invested in a closet-sized hydroponics garden at first. 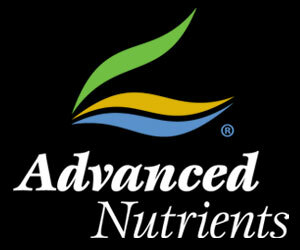 Just one light, an automated aeroponics system, and the best base nutrients. People told him he had a green thumb, and indeed he did- his first crop was a smashing success. 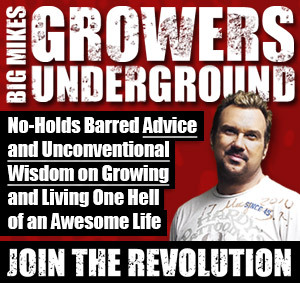 He reinvested his profits in more equipment and a larger, sealed hydroponics garden. Nowadays, when even the most veteran growers came over for a sit, they looked at Jack’s gleaming reflective walls, water-cooled Cool Flame C02 generator, hydroponics digital ballasts, and especially his sturdy, ridiculously productive plants…and they realized that this guy had surpassed them. Nowadays, Jack enjoys a way better life than when he used to risk his life felling trees in the forest. He calls his own shots, works from home, and is a master of his trade. 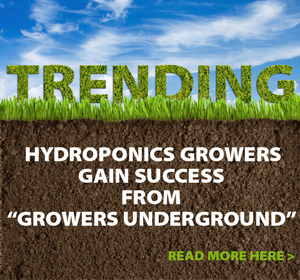 Hydroponics gardening can lead to becoming a hydroponics gardening consultant! He’ll tell you it’s a miracle that what he’d viewed as the worst day of his life- hurt in the forest bleeding from a gash in his forehead, with a broken arm and wrist- had started him on the path to a more rewarding career, a more secure financial future. That’s what you love about hydroponics gardening- it transforms lives. As for Jack, you can always recognize him by the big smile on his face! He loves the maximum yield he gets from his hydroponics garden, and from his life.